Think outside the pie crust with this Salted Caramel Pumpkin Panna Cotta! 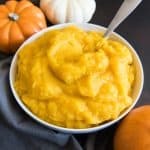 It’s creamy, cool, and delicious, and it makes an easy, sophisticated finish to any Fall feast! I have mentioned before that I didn’t used to like pumpkin pie. Things have changed and I’ve grown up and now I think it’s good, even if it will never be my favorite fall dessert. 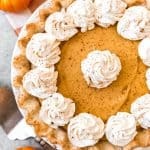 But what I learned a long time ago is that I love pumpkin treats, despite not caring overmuch for the texture of classic pumpkin pie. 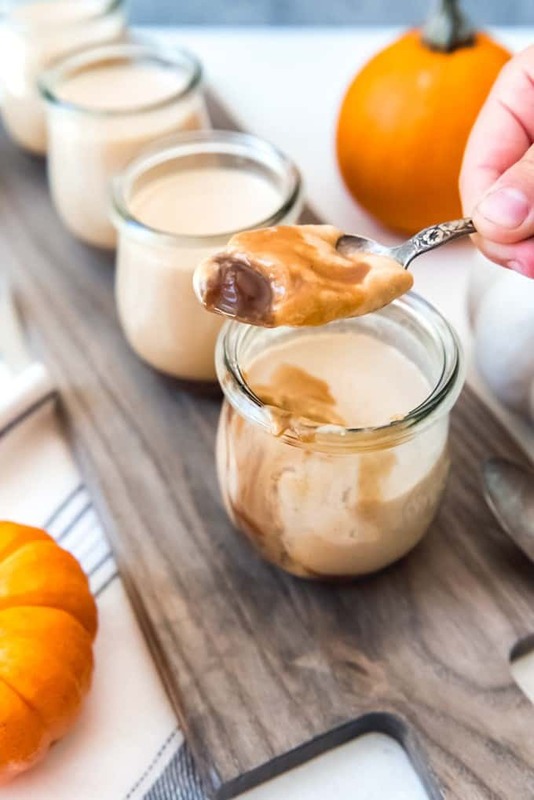 Enter this salted caramel pumpkin panna cotta which is going to cause me to bliss out all pumpkin season long. 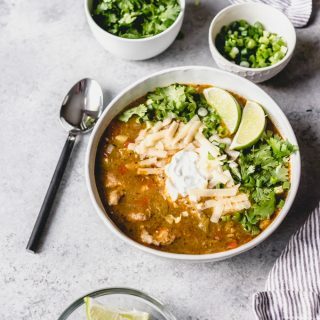 This stuff is sooooooo good and easy and right up my autumn-lovin’ alley. If you have never had panna cotta before, much less salted caramel pumpkin panna cotta, you are in for a treat! Panna cotta (literally “cooked cream” in Italian) is a creamy Italian dessert, sometimes referred to as a custard, made with sweetened heavy cream and gelatin. So, basically creamy Italian jello. Still with me? I hope so. Let’s press on. Panna cotta is a great dessert canvas, often served with fresh fruit, hot fudge or caramel sauce or a fresh fruit puree. It sets softer than jello and is closer to a custard, but more set than a pudding, without the eggy qualities of a flan or the crackly shell of a creme brulee. 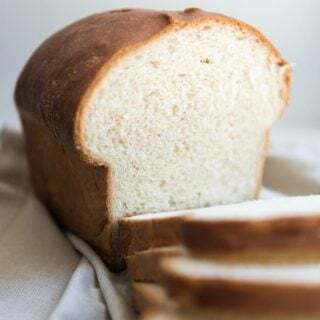 Basically, it’s delicious and unique and the kind of easy-impressive dessert that makes you seem all fancy without any extra effort. Especially when you add pumpkin and pumpkin spices to the mix and a generous amount of salted caramel to go with it. Sometimes panna cotta is served inverted out of ramekins onto a plate with the sauce drizzled over the top, and other times it is served in individual dessert cups, which is my favorite presentation. You can use larger cups and fill them only partway, leaving space in the top for fruit or cookies. 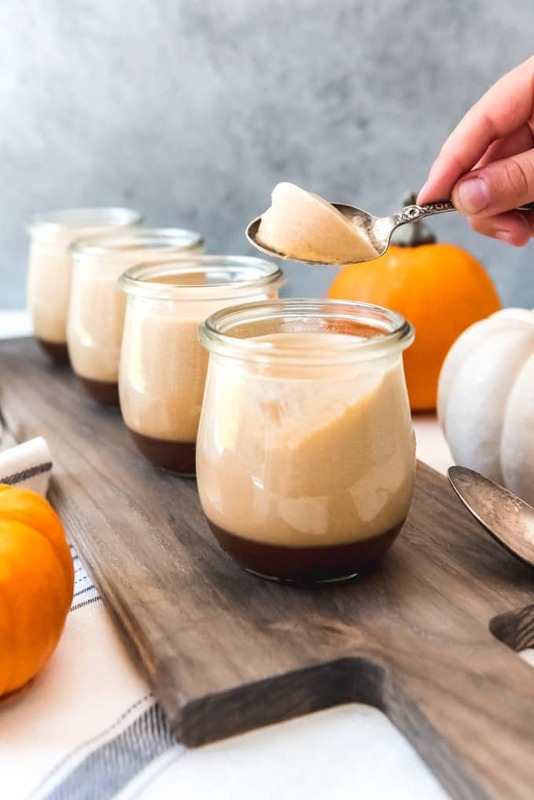 I could see taking this route if you wanted to add crumbled gingersnaps or even a squirt of whipped cream on top of these salted caramel pumpkin panna cottas. Which would be divine if you want a little crunch, although I choose to really focus on the smooth, creaminess of these beauties. 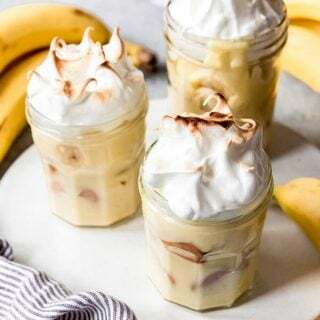 I used small jars that make perfectly dainty individually portioned servings with a beautiful, rich layer of salted caramel made with Karo® Corn Syrup on the bottom this time around. 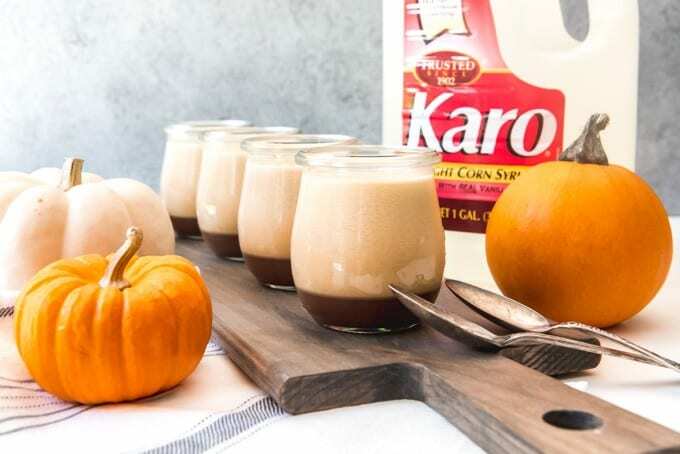 It’s a fresh take on two classics – pumpkin pie and panna cotta – and the Karo® Corn Syrup ensures a smooth, amazing caramel with balanced sweetness that lets the true flavors of pumpkin, cream, and pumpkin spice shine through. 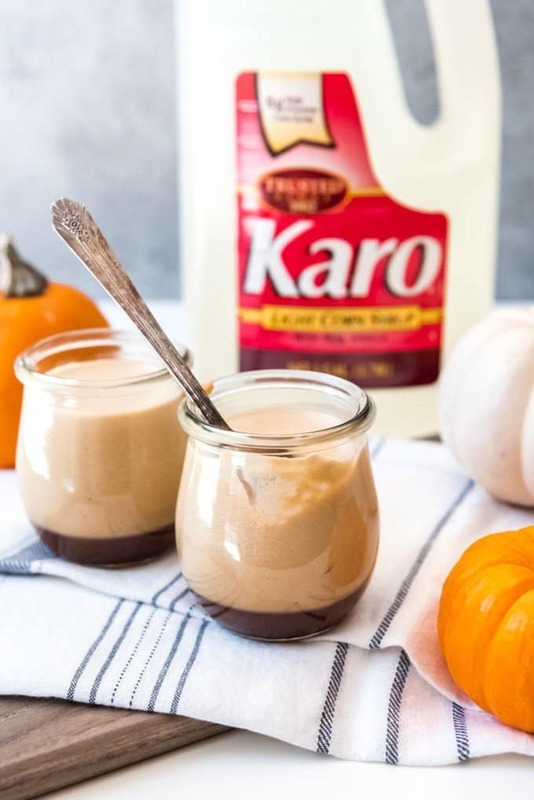 I love how versatile Karo® Corn Syrup is for anything caramel sauce to pies, cinnamon rolls, and glazes. This is important because the best panna cotta recipes are all about balance of flavors and the right mouthfeel. Too heavy on the cream and you could end up with a filmy coating in your mouth. Too much or too little gelatin and the panna cotta will set too firm and not have the smooth, creamy quality that makes it so amazing. That’s not to say that making panna cotta is hard. It’s actually incredibly simple and straightforward. You just need a good recipe to put you on the right track, and I’d like to think I’ve got the best pumpkin panna cotta recipe for you right here taking the previously mentioned factors into account. You can use small mason jars, juice glasses, or even washed out French yogurt jars with the stickers removed if you want to take this approach. These are small “Weck” jars that I picked up at World Market and I think they are so cute. 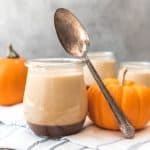 Salted caramel pumpkin panna cotta is a great, indulgent make-ahead dessert, so it’s perfect for dinner parties and all the other entertaining you are likely to do during the fall season! 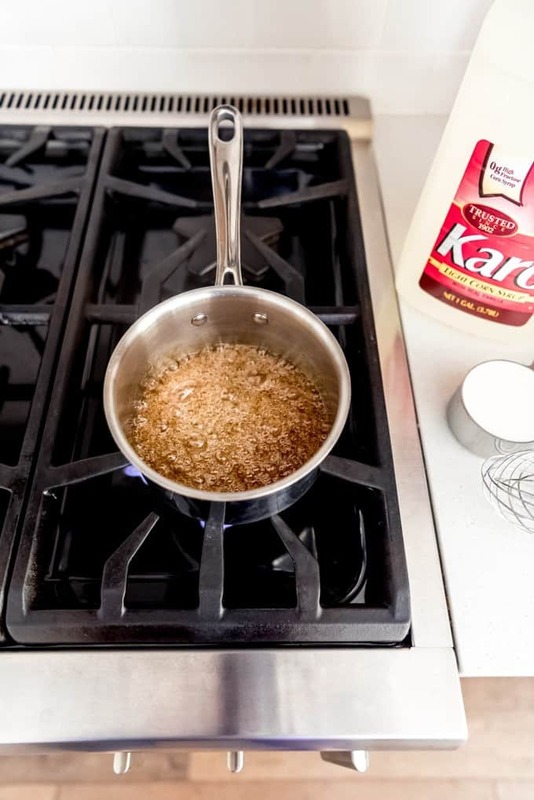 Make the salted caramel sauce by combining sugar, water, and Karo® Corn Syrup in a medium saucepan, then letting it boil without stirring it until the liquid turns an amber color. Whisk in some cubed butter and heavy cream, then boil for just a minute more before stirring in the coarse salt and vanilla off the heat. 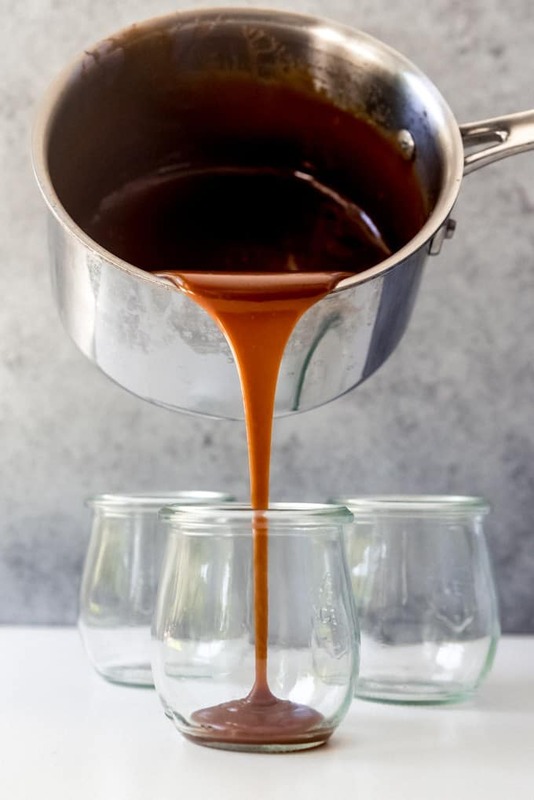 We don’t want to cook the caramel sauce too long because it’s going to set up more in the fridge with the panna cotta on top and we want it to stay soft enough to scoop out even when it’s cold, something that’s almost impossible to do if the caramel gets cooked too long. Divide the caramel between the cups you plan to use and refrigerate while you prepare the panna cotta. 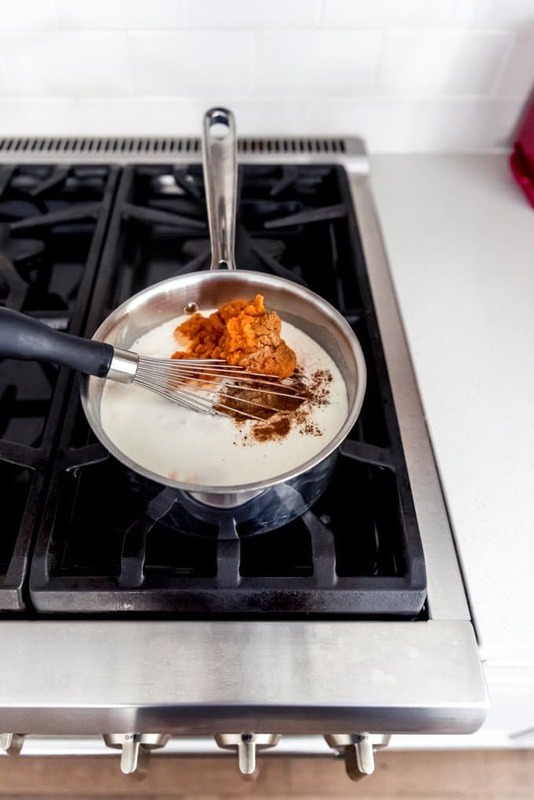 Make the pumpkin panna cotta by first sprinkling two packets of unflavored powdered gelatin over 1/2 cup of milk in a small bowl and letting that sit for 5 minutes. 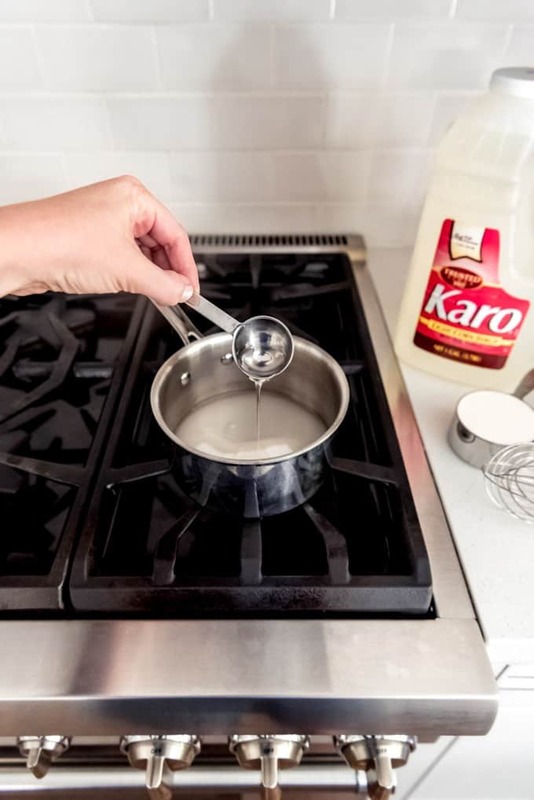 In a medium saucepan, combine the remaining milk with the cream, sugar, and salt, and heat just until bubbles form around the edges and the liquid starts to steam but hasn’t come to a simmer yet. 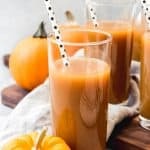 When the liquid is hot, whisk in the gelatin with milk, then add the pumpkin puree, cinnamon, nutmeg, allspice, and vanilla. I have found that placing the pan over an ice bath at this point helps cool the mixture down quickly so I can pour it into the individual panna cotta molds or cups. Once the mixture has cooled somewhat, divide it evenly between the containers you plan to serve it in. I use a 3/4 cup measuring cup to get 8 servings that are perfectly proportioned. The caramel should be set enough that if you just pour the panna cotta mixture over the top gently they layers will stay separate. If you have problems, hold a spoon over the caramel and pour the panna cotta liquid over that to disperse it as it pours. Then just chill for at least 4 hours or overnight until the panna cotta is set. More Delicious Panna Cotta Recipes to Try! 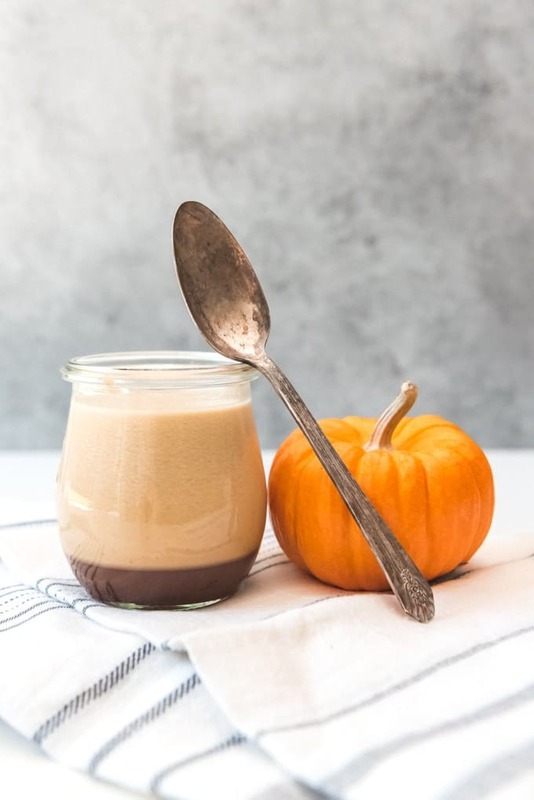 Think outside the pie crust with this Salted Caramel Pumpkin Panna Cotta! 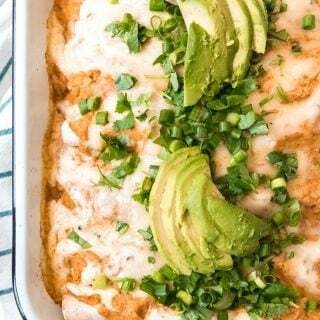 It's creamy, cool, and delicious, and it makes an easy, sophisticated finish to any Fall feast! In a heavy medium saucepan, combine the sugar, water, and corn syrup over medium heat. Bring to a boil and cook without stirring until the mixture turns to a deep amber color. Whisk in the butter until melted, then slowly whisk in the cream and boil for 1 minute, whisking constantly. Remove from heat and add vanilla and salt. Cool for 5-10 minutes, then divide the caramel between 8-10 ramekins or small cups and place in the fridge while making the panna cotta. Sprinkle the gelatin over 1/2 cup of the milk in a small bowl and let sit for 5 minutes. In a medium saucepan, warm the remaining milk, cream, sugar, and salt until it begins to steam, but do not allow it to come to a boil. When the milk mixture is hot, whisk in the dissolved gelatin, pumpkin, cinnamon, nutmeg, allspice, and vanilla. Place the pan over an ice bath to help cool it down quickly, whisking occasionally to help it cool evenly. 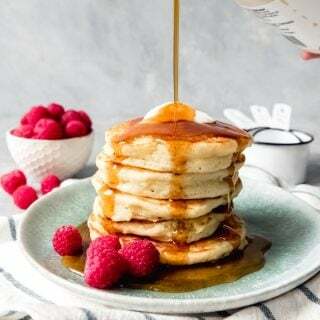 After the mixture has cooled in the ice bath for 5-10 minutes, divide evenly between the ramekins by carefully pouring it over the caramel layer. I use a 3/4 cup measuring cup for equal portions of the panna cotta. 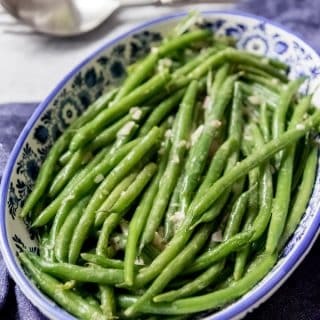 Refrigerate for at least 4 hours until set before serving. That looks absolutely fabulous. I have never had panna cotta but it is on my short list of things to make. I’m not usually a big fan of pumpkin things, but this panna cotta speaks to me – it looks and sounds delicious. 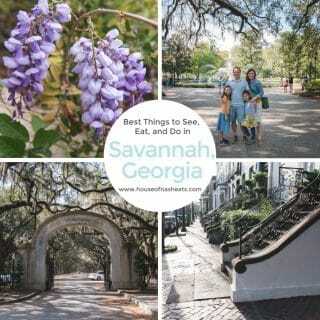 I may need to try it before fall ends! I love panna cotta! What a great idea to make a pumpkin version. 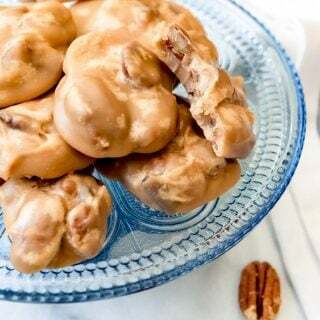 You had me at salted caramel! This looks absolutely amazing! Panna Cotta is one of my favorite desserts and I love the idea of caramel at the bottom!